Different things come to mind when you hear the word Ethiopia. Maybe marathon, Queen of Sheba, mountains? People's images of Ethiopia are many and diverse. It is a fascinating country, with a lot more to it than meets the eye. Check out how much you know about the country, enjoy yourself and who knows- maybe you will learn something new! The quiz is divided into three parts- General Knowledge, Culture and Animals. Take them in any order you wish! 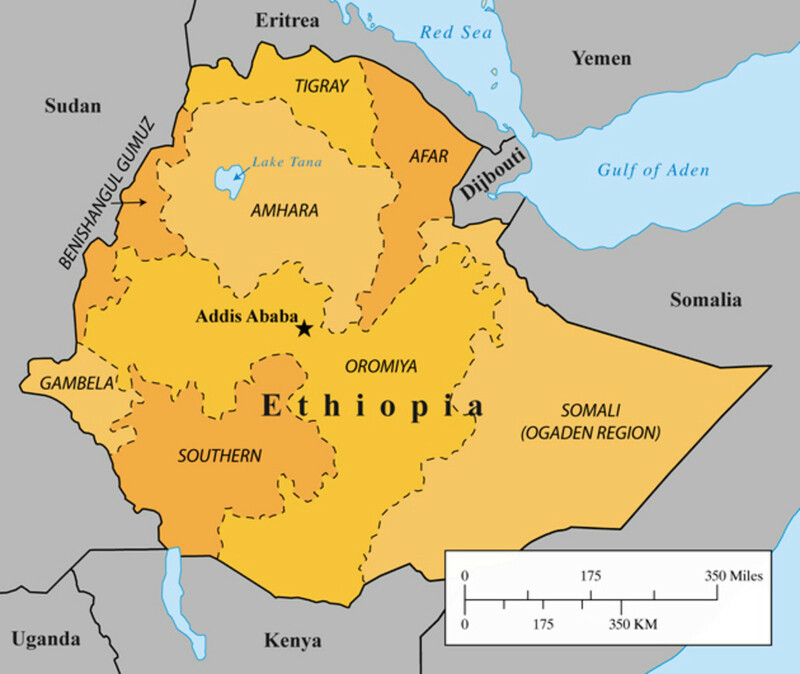 Ethiopia is a large country, located in what is commonly called the Horn of Africa. It covers an area of over 1 million sq.km, bordering to Eritrea, Sudan, Kenya, Somalia and Djibouti. Since the independence of Eritrea, Ethiopia doesn't have any coast or port. This means that all transport has to go on land, then usually through the port in Djibouti to the rest of the world. Ethiopia is a predominantly Christian country, but about a third of the population are Muslims. Many of these Muslims, however, don't follow the rules as strictly as in other Muslim countries. 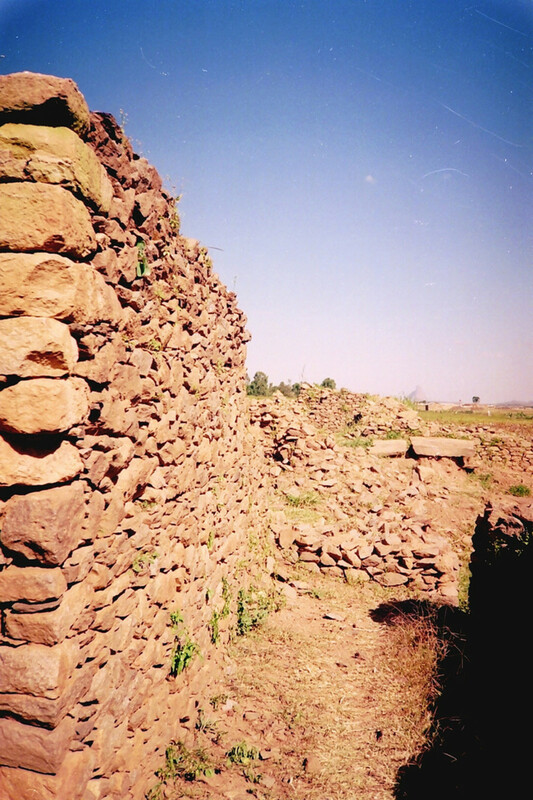 Especially in the northern parts, in Wollo. It is not uncommon for Muslims to marry Christians, or to drink the local alcohol. 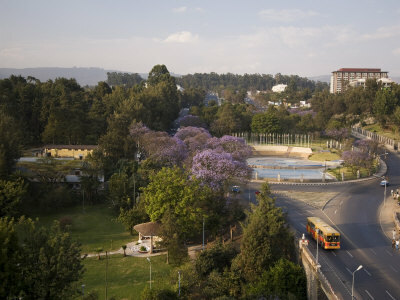 Addis Ababa, the capital, is a city which has developed tremendously the past decade. From village to city, it is the center of many international organizations. The African Union has its head-quarters here, and there are many UN agencies and aid-organizations. This means there is a large group of foreigners located here. In Addis, there are plenty of nightclubs, bars and restaurants. One shopping-mall after another is being built. Living side by side with the rich people, are many poor ones. The contrast can sometimes be overwhelming. It is amazing how one country can have so many languages. Apart from the 80, or so, spoken languages, there are also many dialects. One thing most people in Ethiopia have in common is the staple food. Injera, made from a grain called teff, is eaten daily by most people. A bit like rice to many Asians. Together with injera they serve different sauces, based on meat, chicken or vegetables. Their chilli mixture, berbere, is a really nice spice which can be used for many dishes. Here, you will find a description of some of the major languages in Ethiopia. See the unique alphabet, the abugida, and hear the sound of the languages. See how the staple food is being made, it is not too difficult to copy. Teff is available all over the US, in health stores and online. Ethiopia has so many delicious, vegetarian dishes. Many people cannot afford meat, but a lot also abstain regularly for religious reasons. The result is vegetarian food at its best. 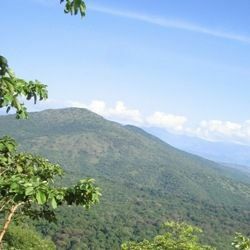 Ethiopia is said to be the birth-place of coffee. It definitely plays an important role in the country's culture and economy. The music in Ethiopia is very rich in emotions. Even if you don't understand a word, the meaning is conveyed through the music and voice of the singer. Watching a video of singers in the country can be very interesting. Berbere is not only used directly in the food, they also prepare a really nice chilli paste with it. See how AWAZE is prepared and used. Many people have heard about Ethiopia only in connection with the horrible starvation in the mid 80's. A lot of foreign workers, Red Cross and others went to Ethiopia to try to help. They did a lot of good, both materially but also on an emotional level. To know that somebody cares can help a person not to give up. After an interview with Red Cross nurse Claire Bertschinger , on the BBC in 1984, a man called Bob Geldof decided to arrange a fund-raising concert, with many famous artists, to help the people. 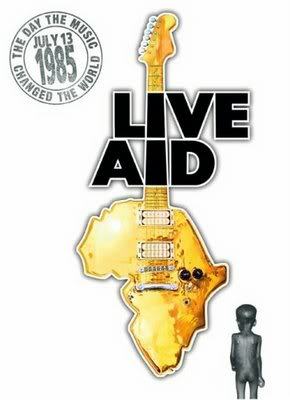 This came to be known as Live Aid, and they managed to raise a staggering sum of more than 280 million dollars! 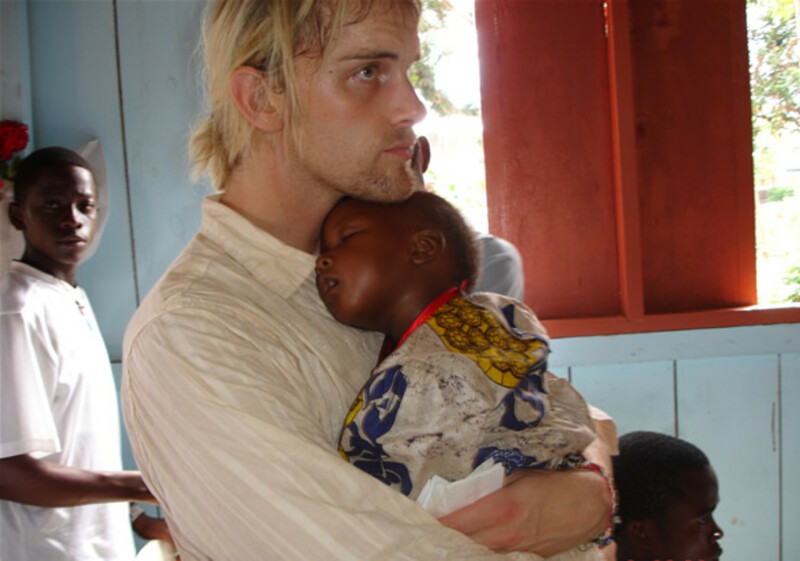 Read more on the unofficial Live Aid site. Ethiopia is still a very poor country. While not recommending any particular aid-organization, here are a few links to check out. Remember that a little can go a long way. The ICRC are active also in Ethiopia. Female circumcision is still common in Ethiopia. For these women, giving birth can bring horrible suffering and stigma. The Hamlin Fistula Hospital has been working for years to help. 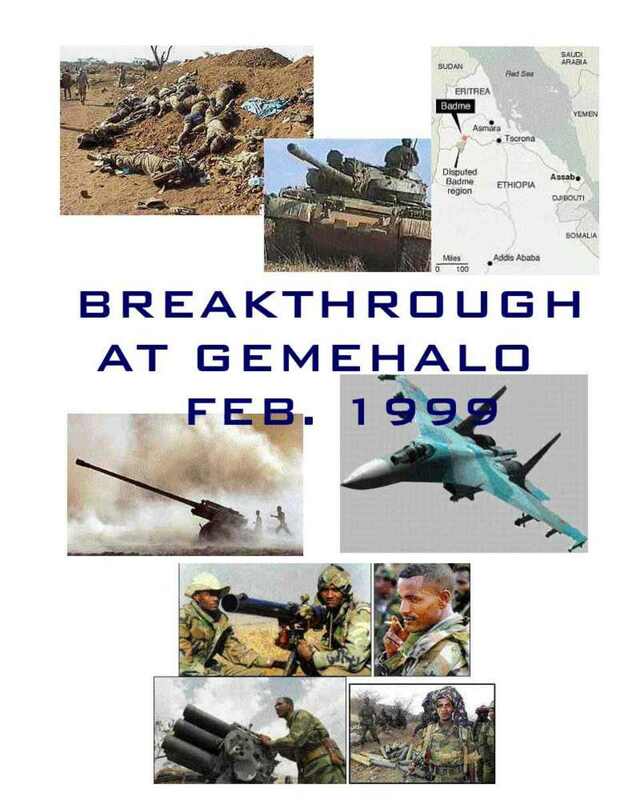 This is a very well-known organization in Ethiopia, which has been around for a long time. Want To See a Gelada? The Gelada (Theropithecus gelada), sometimes called the Gelada Baboon, is a species of Old World monkey found only in the Ethiopian Highlands, with large populations in the Semien Mountains. They are known by a big red spot on their chest, looking like a heart. 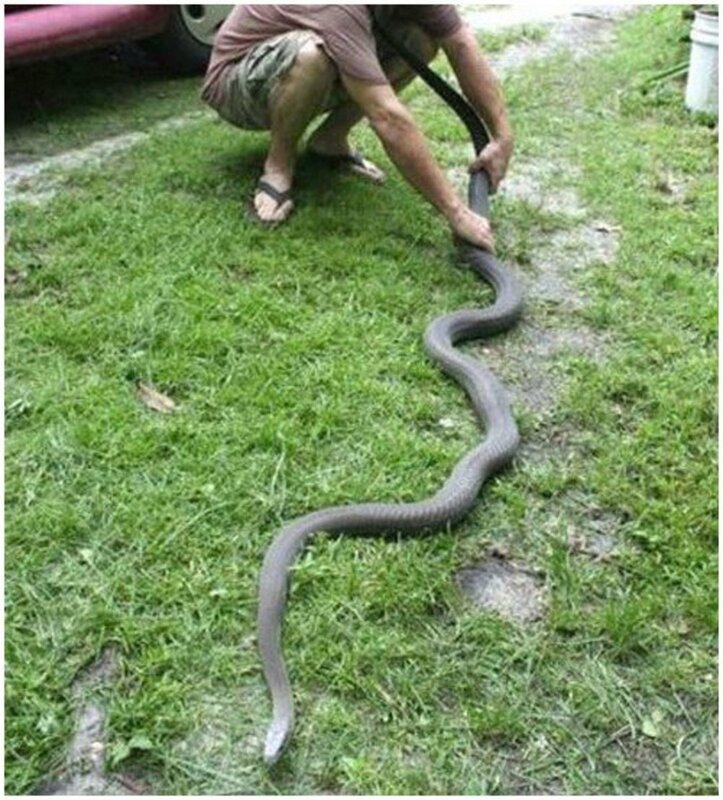 These big monkeys can be quite a nuisance, even dangerous, especially in areas where they have become used to humans. The Walia Ibex is a kind of mountain goat, which is found in the mountainous regions of Ethiopia. There are very few animals left, and it has been put on the list of critically endangered species. Only 500 individuals or so are still left. This is partly because of hunting, but also a result of loss of habitat. Even if the number would increase, there is not enough space for them. No, I don't like travelling. 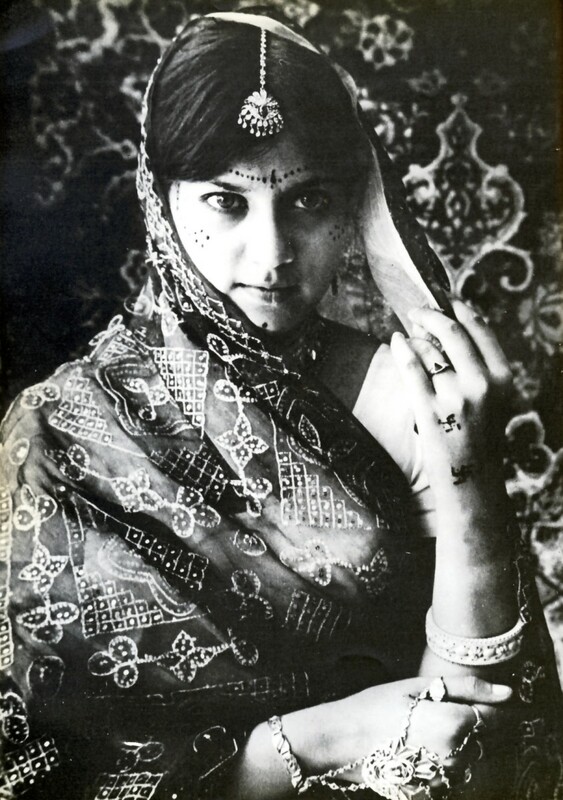 Do you know who the beautiful woman on the picture is? It is Liya Kebede, an Ethiopian supermodel. She, along with other Ethiopian women have become famous all over the world, for different reasons. You can read more about these Ethiopian Women here. Of course, we don't want to discriminate anybody, so why not check out the page about Famous Ethiopian Men? We always enjoy comments! - How did it go? Was it difficult? This was fun and I learned a lot about Ethiopia. My sister lives in Ethiopia. Great info about the place. Interesting questions. Thanks for pulling this together. I've learnt a lot from this lens - thank you! What a beautiful country. Thanks for sharing this lens. Great quiz, thanks for sharing. Great quiz - I learned loads. It's always fascinating to learn about new places. Thanks for all the interesting facts included here. From food to customs to wildlife - I think you hit all the highlights. A terrific lens. Thanks. Beautiful pictures. I also enjoyed the quiz, learned some new things! I enjoyed this quiz. Thanks. I enjoyed your quiz on Ethiopia! Great lens and wonderful photos! I would love to be a part of a volunteer team in Ethiopia (International Aid). 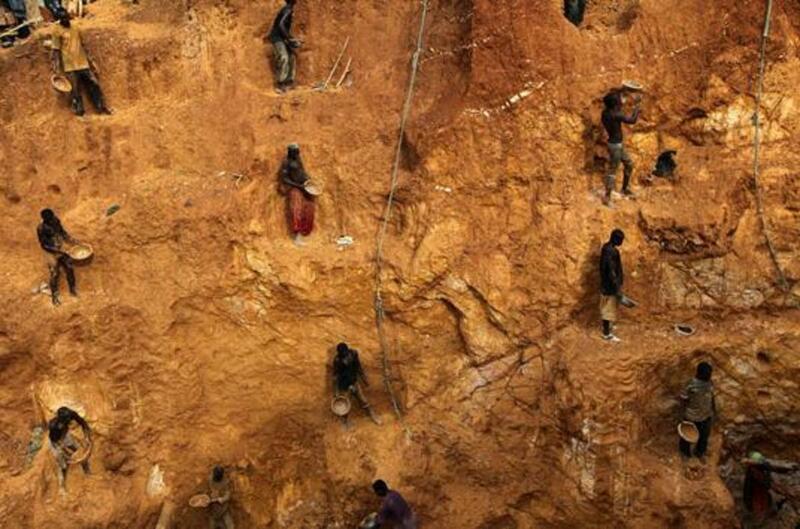 The people of Ethiopia have had more than their share of suffering. I appreciated all that I learned here. Thank you! Great lens my squidoo friend. Visit my and Thank you. I got a few right (and many wrong), which automatically means that I learnt a lot - thanks! Very good lense and very educational. I've learn few new things! Thanks! Always wanted to go travelling in Africa - this might just be top of my list for that continent. Very interesting. I never thought of Ethopia as a place to visit. Another interesting and informative lens Mujjen! Thanks for a very informative Lens and fun Quizzies; I Pinned you to my Squidoo Quizzies Pinboard. Thanks for this interesting lens! This was a really interesting lens - I know very little about Ethiopia so this was a great way to increase my knowledge. Thanks! Returning to bless this lens. It is a fun lens. I learned something. Now I know a little more about Ethiopia! 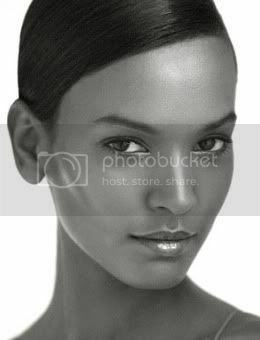 I think the Ethiopian women are so beautiful. Didn't do as well on some of the questions as I thought. There is so much to learn about God's beautiful land isn't there? I have a famous Ethiopian friend named Wayna Wondwossen. She's a singer her in the US. I have a lens on her here on Squidoo if you would like to look. I love her music. She sings Indie R&amp;B Soul music. Very informative and interesting lens. I enjoyed the quizzes, OK on the first but for the latter two had to guess the answers. THanks for a great read. I tried Ethiopian lamb stew with injera once and love it. Thanks for sharing. Excellent lens! I love it. Ehtopia is one of the few African countries I haven't visited. Yet. I didn't know most of these facts, the most I know is about Ethiopian coffee and food. Wow, I sure didn't know as much as I thought I did. I even have friends in Ethiopia, too! Knew very little and learned a lot. Thanks! Enjoyed this very much. And learned a lot. A great work here! Wow, I learned a lot! Great quiz! I had an aunt who lived in Ethiopia and I thought I knew more than I turned out to know. Well done. Congratulations for having your lens featured on the front page! I left you a little gift of angel dust. I like the way you have "cornered the market" on this topic. Nice lens! I need to brush up on the subject. Fun quiz and great lens. @Sher Ritchie: I am working on including more about this, it is an important part of the country and culture. Will not take long before you'll see it here! Didn't do too badly on the quiz - but still need to brush up and give it another go. Got zero on every quiz. hahahaha. I wish I had remembered more...70%, 40% and 50%...and a good refresher coarse, nicely done....and its good for us not to get all the answers right! Very interesting. I wish I had done a bit better on the polls. It was a difficult quiz - a great challenge. Thanks. And a great lens. But I'd liked to have seen a short segment about the river Nile - one of its main sources is in Ethopia and the little-spring-that-starts-it-all is a pilgrimage site. Very interesting knowledge here..very good content. learned a lot here, enjoyed the quiz's and the simple and short questions. thank you indeed for your lens. thanks for a great lens about a wonderful country! I hope someday, I can visit Euthopia. Super liked this lens. I learned a lot here. Squidlike! Beautiful lens, hard but enjoyable quizzes. Keep it up! Great quiz! I did pretty well, but my brother lives in Addis Ababa, so that helped a lot. :) Thanks for helping me learn more about this wondrous country. Great quiz! Now i know more about Ethiopia. Thank you! Thanx a lot for the lovely quiz, I really enjoyed it. Great lens and very interesting quiz. Thank you. I did learn a couple of things. I know very little about this country, and my quiz reults proved that. Gotta study up! Together my teenage daughter and I go 50%. This quiz was hard but lots of fun. Thank you for illustrating the answers to the questions. We loved begin introduced to the gelada. i know nothing about ethiopia, but my best friend is adopting a baby from there! Great quiz - didn't do as well as I hoped tho. My aunt and uncle lived in Ethiopia in the 60s. 40% for me, not so good! I knew a couple of the answers, the rest were guesses. I definitely learned a few things here. Great series of Ethiopia lenses, very well done! a quiz is not only about knowing, but about learning! and most of all- to have fun while learning!